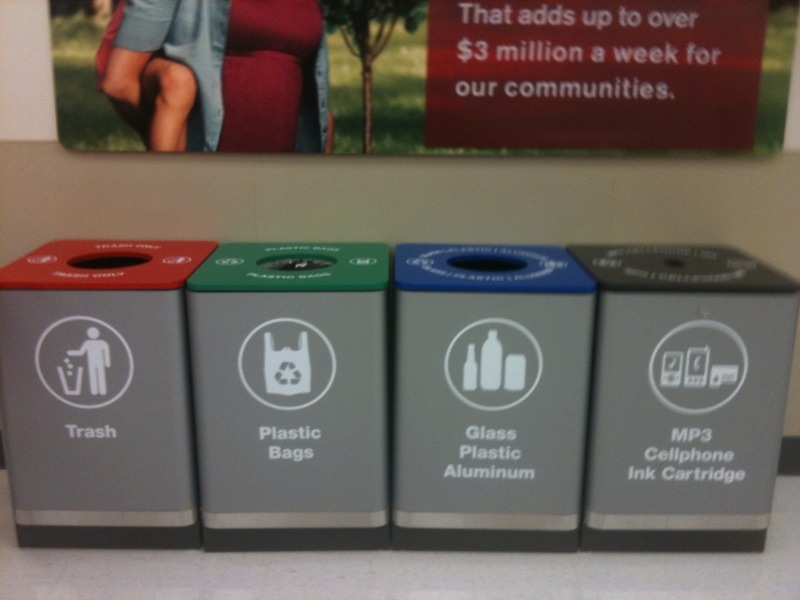 It’s hard not to recycle when stores like Super Target in Orlando’s SODO neighborhood make it this easy! I especially like the option for MP3, Cellphone & Ink Cartridge recycling! Thanks for stepping up, Target!